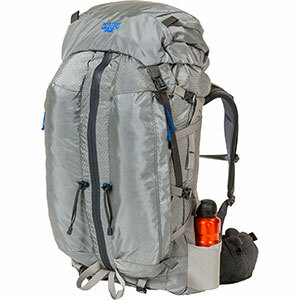 This newly released lightweight backpack is equipped with user-friendly features without adding unnecessary weight. Supreme comfort meets a lighter base pack weight! 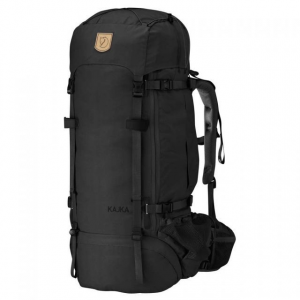 This backpack is ideal for both the casual overnight hiker, and the long distance backpacker covering ground day in, and day out. NOTE: Some of the design flaws noted in this review have been addressed by Gregory Packs, and we at Trailspace are waiting to hear back about further information regarding these fixes. 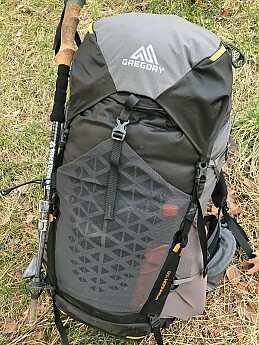 The Gregory Paragon 58 is one of the only packs tested to have no break-in time, with truly out-of-the-box comfort. 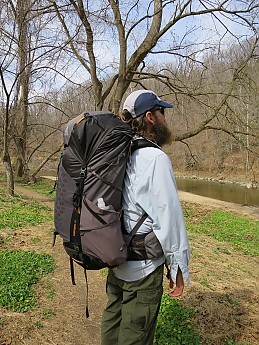 The MD/LRG 17"-21” pack size was tested, and the fit was right on the target for a 5'10" 155-lb tester. 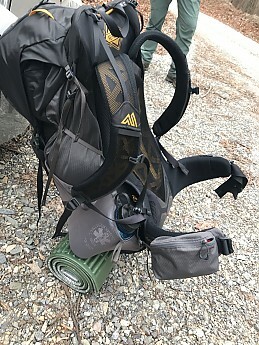 Fully loaded pack for seven days was found to be superbly comfortable! 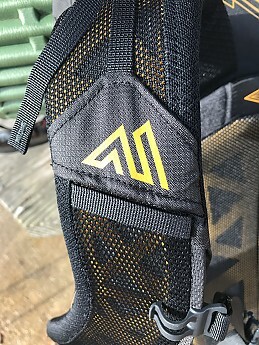 Each size available to the consumer has four inches of torso adjustment, allowing the user to use a simple hook and loop system to get that perfect fit. Easy to read markings help for easy adjustment! 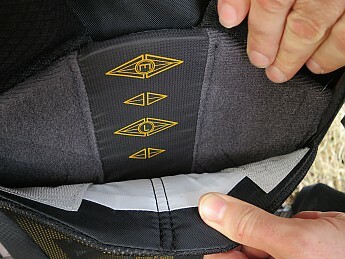 Gregory’s Quickadjust technology is also used for the hip belt suspension. The Aerolon suspension in the Paragon 58 is very comfortable, using an aluminum perimeter frame. 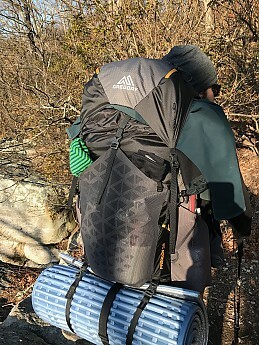 Maximum pack weight of approximately 40 lbs was used on several winter overnights, and did not overload the suspension system of the pack. As far as carriage is concerned, this is a near perfect system. 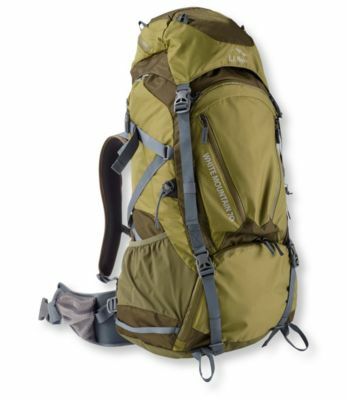 Gregory specs the maximum carry of the 58L model to be 50 lbs. 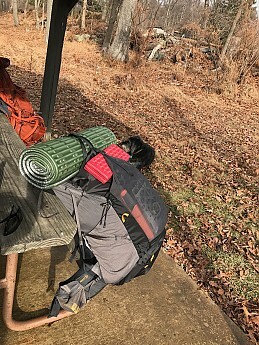 40 lbs on a multi-day winter trip was still found to be very comfortable! 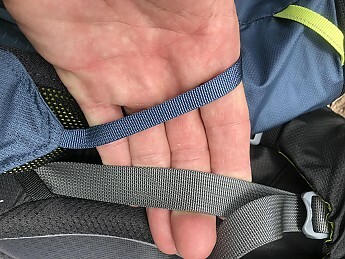 Although the webbing and straps for pack adjustment are more svelte for weight reduction, no flaws were evident with the redesign. 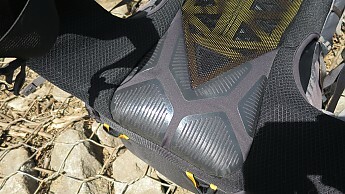 Gregory uses a silicone coated lumbar pad, using its proprietary ‘Gription’ technology. This lumbar pad stays put! 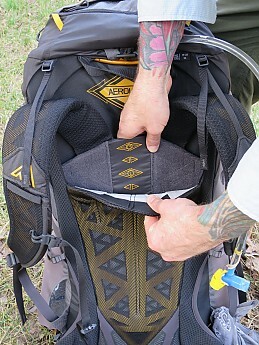 One of the main concerns found testing the pack in regards to comfort is back ventilation. Gregory touts its Matrix ventilation system to provide "exceptional airflow," however the results are far less than exciting. Understanding the need for the back panel to provide structure for comfort, this ultimately is not a deal breaker considering how comfortable the ride is. The 58 liter volume spec seems to be true to size. 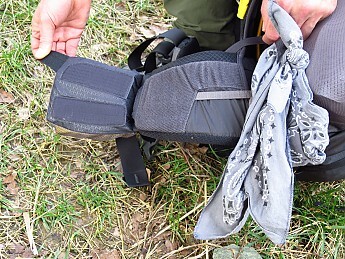 When carrying less, the four compression straps (two per side) do an adequate job. 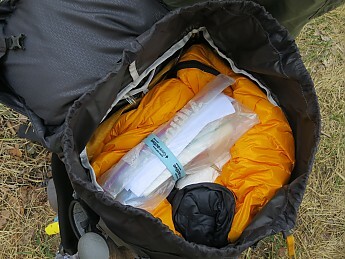 Note the lower straps act as double duty to retain tent poles or water bottles that are in the side pockets. 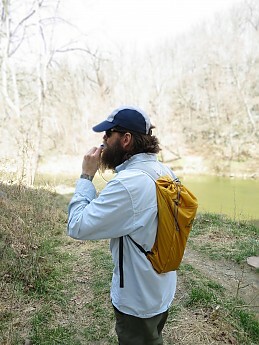 The side pockets are medium in size, but will hold a 32oz Nalgene bottle. 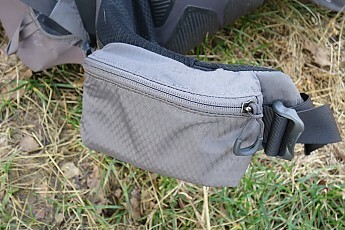 The right side pocket has a 45° angle second access point, which is user friendly to get access to water, or a snack. The Paragon 58 is stripped down for a fast and light winter overnight. 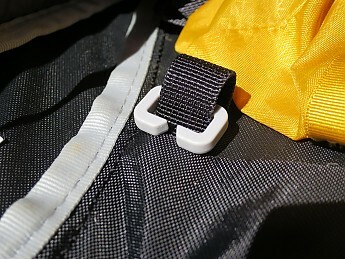 When removing the top lid, the front attachment straps can easily be removed. 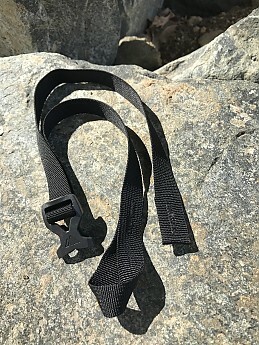 Two lower front accessory straps are also easily removable for weight savings. 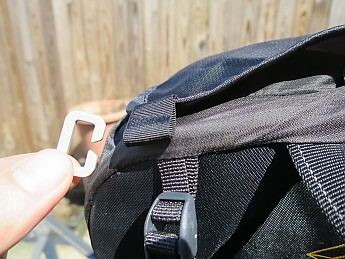 Although not problematic, the attachment straps for the top lid don’t have a place to stow. Trailspace is waiting to hear back from Gregory about design changes. 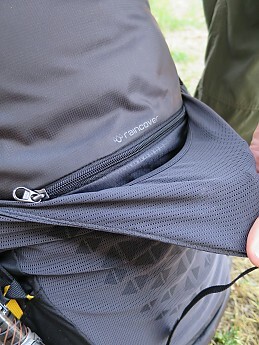 Another design oversight is the functionality of the removable main compartment divider as a lid for the pack. When attempting to do so, the user will find the attachment clips are a different size, rendering this option useless. 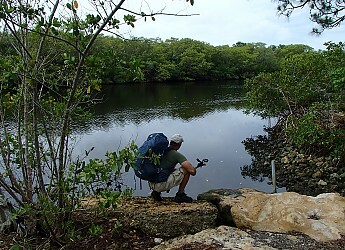 Once again, Trailspace is waiting to hear back from Gregory about design changes. See the difference between the lid (top) and the flap (bottom)? Using the divider flap is incompatible! 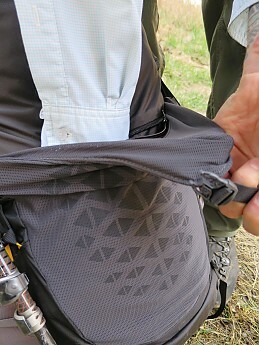 The Paragon has two generously sized hip belt pockets; one mesh, one water resistant. 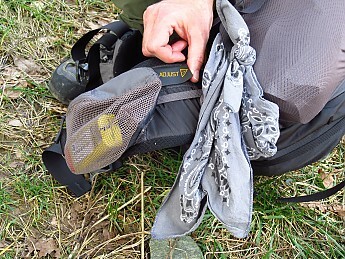 The elastic mesh front pocket is a nice place to store wet or quick-access items. 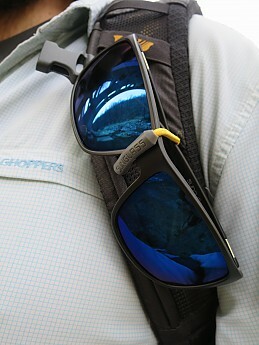 Although this very stretchy material allows the user to store lots in the pocket, long-term durability is questionable. 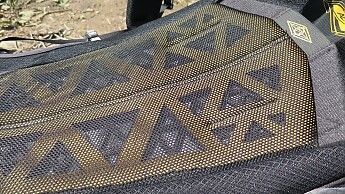 Although somewhat hidden, there is a stash pocket under the mesh for storing the included rain cover. 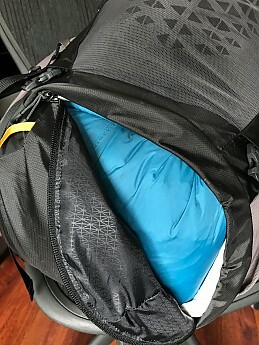 The main compartment of the backpack has two access points; the standard top opening, and the sleeping bag compartment at the bottom. 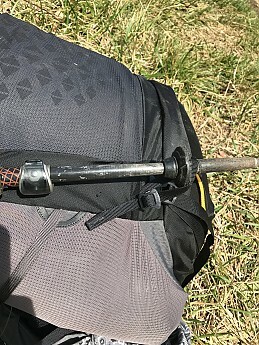 There are several other notable features of the Paragon, like the useful sunglass quickstow, and the trekking pole attachments. 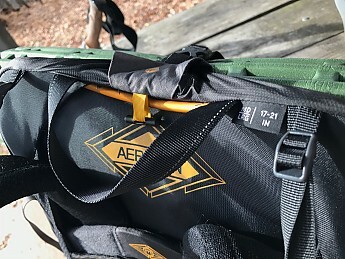 The upper trekking pole attachment has an elastic hook system. 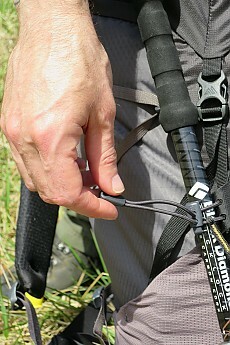 The lower trekking pole attachment manually adjusts to stay tight. 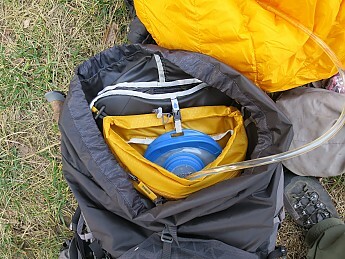 Some people may find the hydration reservoir sleeve useful, which acts double-duty as an ultra-light summit pack. 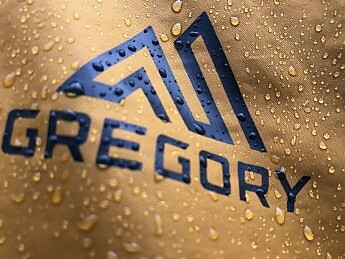 Available as a separate accessory, Gregory has a newly designed hydration reservoir for its backpacks. 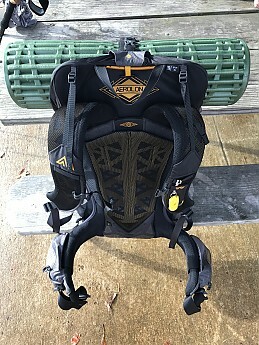 Andrew F. of the Trailspace Gear Review Corps reviewed the Gregory 3D Hydro 3L Reservoir for Trailspace. 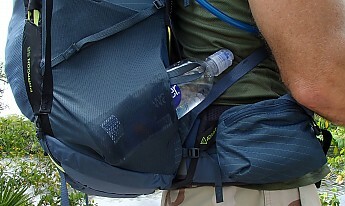 A hydration reservoir is clipped to the top frame. 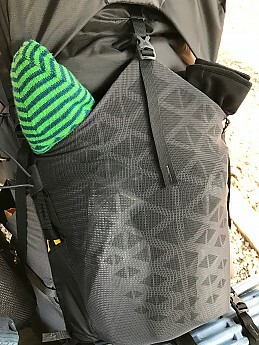 Note the second zippered compartment on the summit bag. 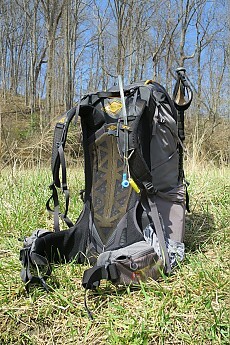 The summit pack is perfect for water resupply and a snack! 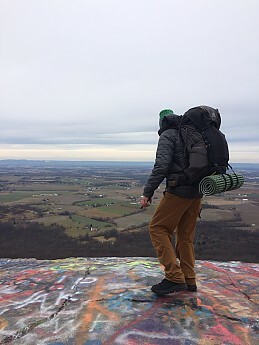 The Gregory Paragon 58 has been tested during the winter 2016-2017 season over approximately 200 miles along the Appalachian Trail, and mid-Atlantic U.S.
Catching a quick view at High Rock, near the Mason Dixon Line on the A.T. 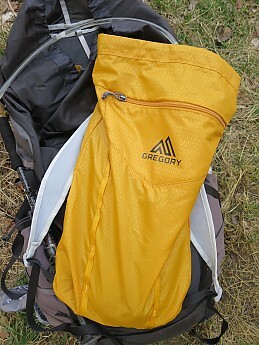 Whether going out for a quick overnight, or thru hiking a long distance trail, the Gregory Paragon 58 can do it all! 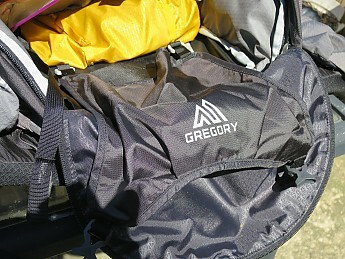 Many thanks to the people out at Gregory for the opportunity to test this product for the Trailspace Gear Review Corps! Sean I have to say your photos and review peeked my curiosity...I came back to your review 3 times looking at the pictures and reading your thoughts on it..I looked at the hipbelt pictures the most and the mesh...The hipbelt I need to see in person to get more of an idea of what they did here..They had issues in the past not to long ago with the hipbelts from long distance hikers in 2015...I know I met 3 of the 14 that bought different packs when they broke..The mesh I dont think will be a problem..Thats a fine mesh integrated it looks from the pictures with material.. 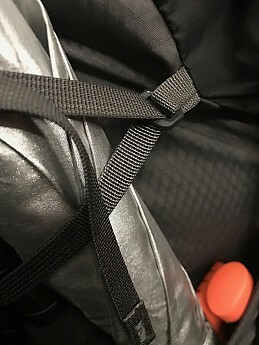 If you look at my profile picture thats an older ULA Catalyasis with mesh..The pack has over 2000 miles on it.I bought it used in 2011 and I put 1300 miles on it..Larger mesh holes and no rips or runs...But mesh packs arn't made for bushwhacking...I thought your review was excellent and I want to see this pack because of certain features. 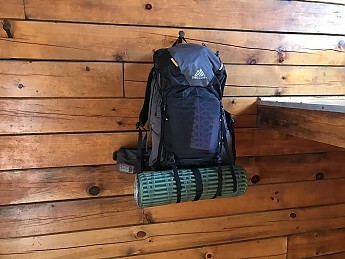 I looked up which outfitters by me carry Gregory so I found 4 so I am calling today to see who has it..This is almost the ideal liter pack for a LD Hiker.. 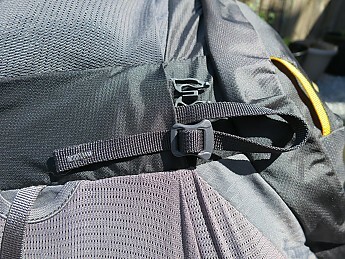 Your comment on ventilation speaks to why I prefer an external frame pack. I just like having the air moving behind me. Excellent review, Sean! 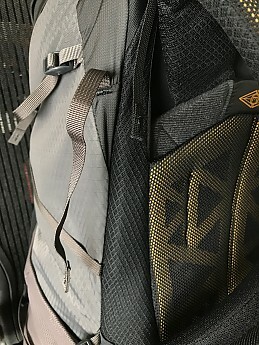 Awesome review, m8, above and beyond... And it looks like you had the right pack to review too, as in quality... Well done, Sir! I have the new 2017 version of this pack. 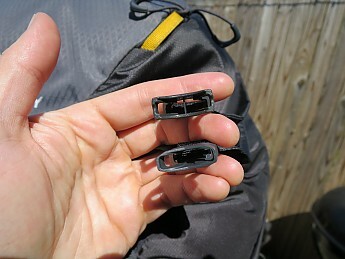 The issue with the sleeping bag compartment separator having differing buckles was addressed. It can be used as a lid in place of the normal lid. I looked at the seam where the stitching was failing on the test pack and didn't see any issues yet. I'll have to keep an eye on it as the pack gets more use. 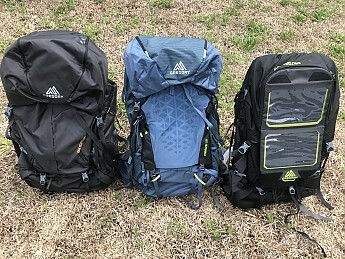 This pack is on sale right now at MassDrop and I'm tempted to get it but I also don't need it right away - these damn gear sites always sucker me in! Infinitesimal adjustability, standout breathability, ridiculous comfort! 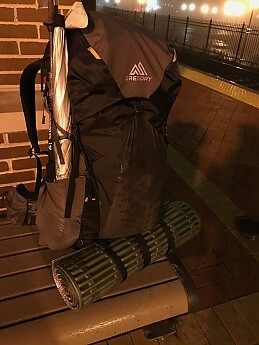 As a satisfied owner of Gregory's Baltoro 85 and 75 GZ backpacks, I anticipated getting some trail time in with Gregory's new Paragon 58. 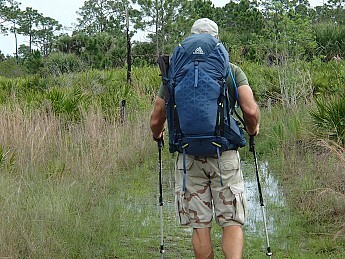 Gregory Packs is no strangers to turning out coveted thru-hike size backpacks. 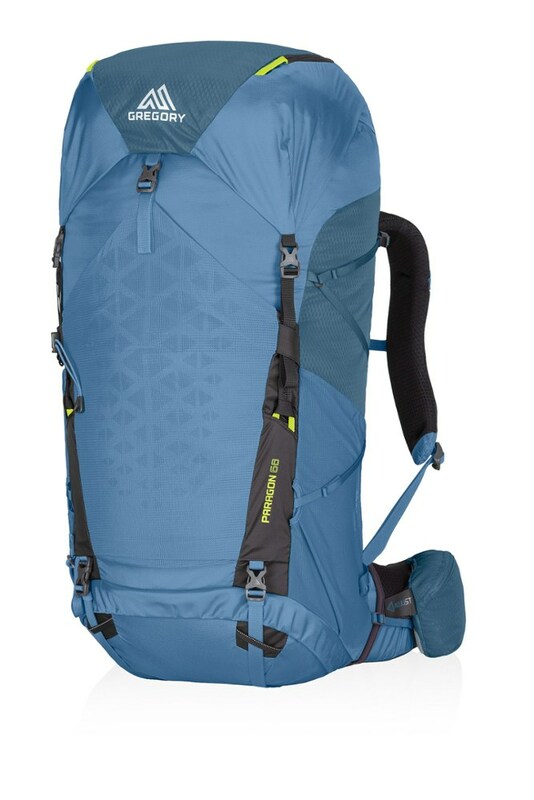 In 2015, the Gregory Baltoro 85 laid claim to Backpacker Magazine's Editor Choice Gold Award and Outside Magazine's Gear of the Year Award. Heavyweight hauler comfort is what they are known for. As a member of another website, at times I will be given gear to test and provide an honest and thorough evaluation. The Gregory new Paragon 58 is one of those occasions. 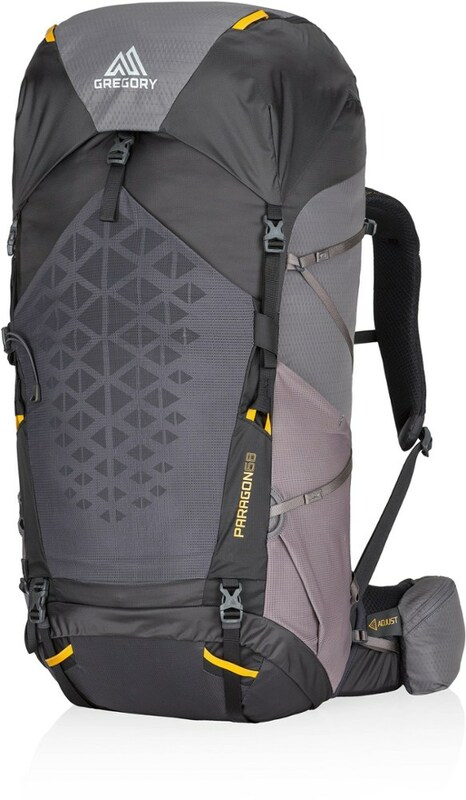 The new Paragon 58 is touted as a long weekend pack. 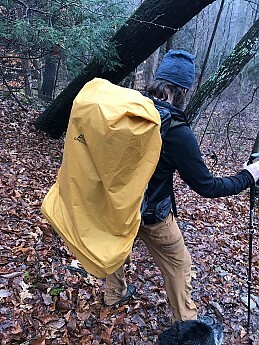 Being a 58 liter or roughly 3,539 cubic inches, it qualifies as a multi-day pack. 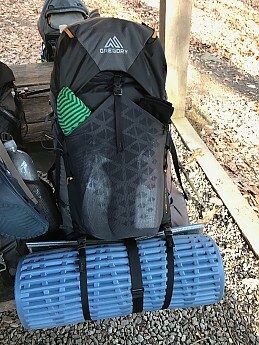 I am no ultralight backpacker...preferring my heavier creature comfort items...but I was able to fit 4-5 days worth of gear quite easily inside this pack. 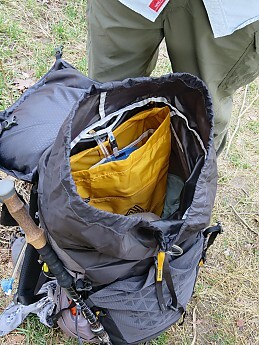 More would have fit if I used a smaller compression sack for my down bag. This load up totaled 40 pounds with water. So very manageable. Gregory's new Paragon 58 tips the scales at 3.9 lbs. 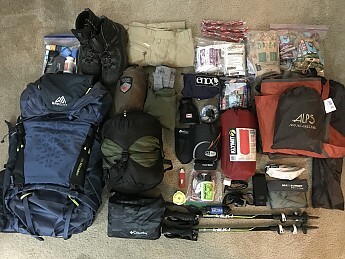 and is noticeably lighter than Gregory's Baltoros when hoisted, but I can also pack ten days of supplies in the larger, heavier Baltoro. The Paragon 58 is feature-rich and enjoys several advancements. 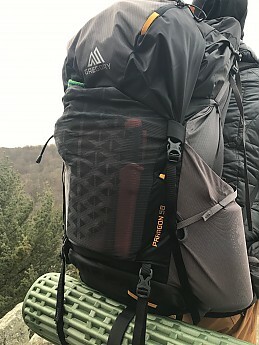 Like its larger brethren, the Paragon 58 has the creative SideKick internal reservoir sleeve that can be removed, transforming into a lightweight day/summit pack. 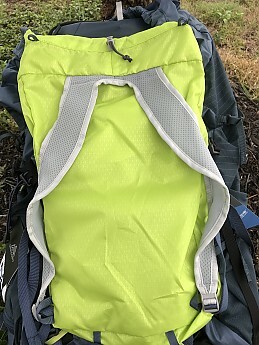 The SideKick has lightweight mesh shoulder straps, so if you load down the zippered pockets with much more than a windbreaker and some energy bars in addition to your hydration bladder...you'll be feeling it. But it does also have webbing lash points so it is possible to attach more. 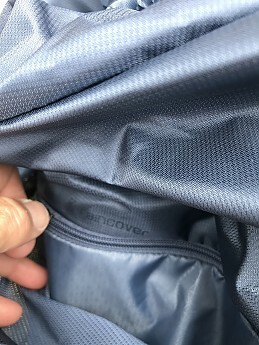 A high quality, brightly colored pack rain cover is included and housed within it's labeled zipper pocket. The hipbelt pockets have been upgraded to much larger sizing, so they now fit larger smartphones. The hipbelt pockets can adjust along the hipbelt for greater accessibility. 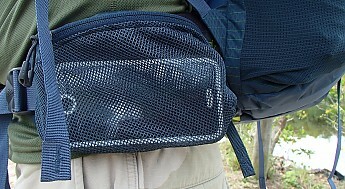 The left pocket is a zippered mesh pocket, where contents are easily identifiable. 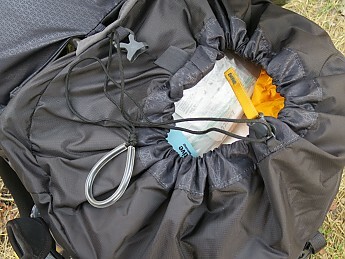 The right zippered pocket conceals its contents, but is not WeatherShield like the larger Baltoro. My iPhone 7 housed within its waterproof Pelican Marine 7 case slid into either pocket with plenty of room to spare (not so with the Baltoro 85 or 75 GZ). The SideWinder bottle stash is also a welcomed addition. 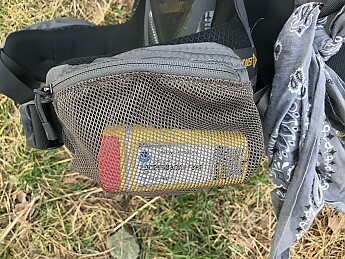 Thru-hikers seem to be favoring use of the large SmartWater bottle, and this slides easily into this pocket. I was using a smaller SmartWater bottle and found retrieving and reintroducing the bottle into the sleeve a simple one-handed affair. 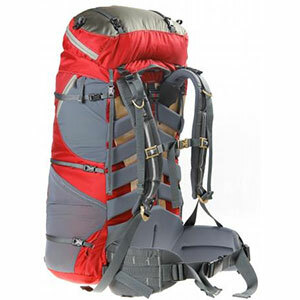 The Paragon's use of the Aerolon suspension and Matrix ventilation system provided positive airflow through the mesh of the shoulder straps and back framing. Though I was still sweating in 80 degree heat, I could feel the air circulating, which provided a cooling sensation. Gregory's new Paragon 58 fit snug and conformed to my body. The hipbelt rode high and comfortably on the iliac crest. 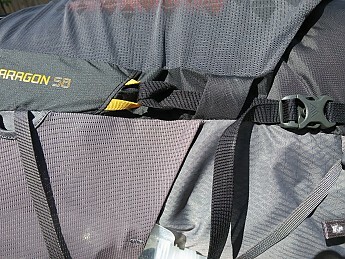 The Paragon's Gription lumbar pad had great stiction holding the hipbelt and pack in place. The shoulder and sternum straps adjusted easily and snug. 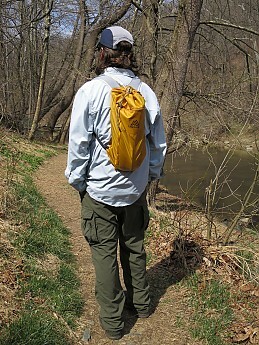 The pack felt secure and balanced, working with me rather than against me when bending forward or twisting. 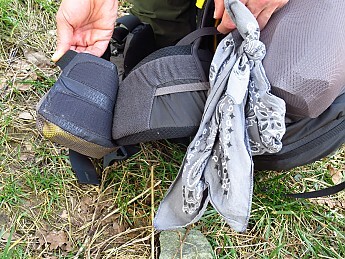 Fine-tuning the pack and straps on the move is straightforward and simple. 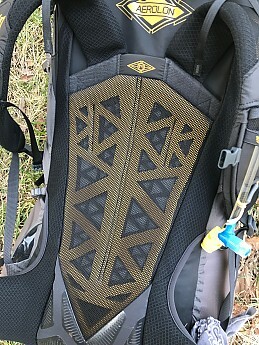 I was very pleased with the comfort level of the Paragon 58 over hours of hiking...like it was an extension of my body. It appears to be constructed of high quality materials like you would expect from Gregory. 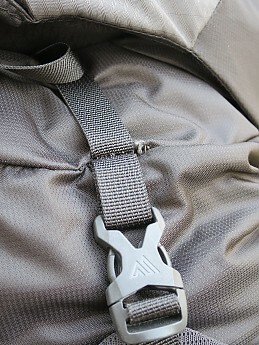 However, I am suspicious of the use of thinner adjustment straps and smaller buckles. 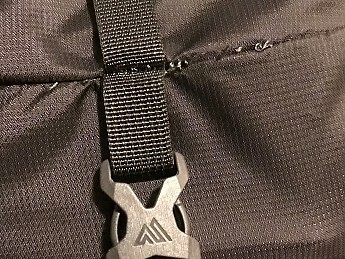 The straps have not failed or pulled away...but smaller webbing has a smaller sewing surface. Purely personal skepticism. The Hipbelt web belt and buckle are the same size as the larger packs, so no concern there. 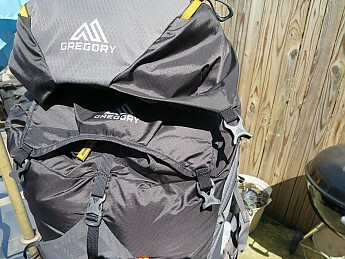 As I continue to use Gregory's new Paragon 58, I will report back and update this review, but so far I am very pleased. Disclosure: The reviewer received a sample of this product from the brand or its representatives in exchange for a review. Thanks for the review, CY6. I hope you'll keep us posted on how your Paragon holds up for you. Nice review CY6! On the sidewinder bottle stash pockets, if someone was using the larger 1 ltr smartwater bottles, do you think they would poke you in the side or back of the arms? I have this pack. 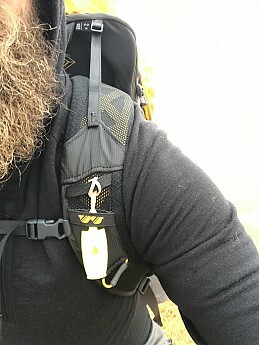 Mike, that side pocket is supposed to accommodate a 1L nalgene. I could see that would probably be an issue with the longer 1L Smartwater bottle. Thanks Mike. Great question. I will pick up a Smartwater 1 liter and give it go. My 32 oz Camelbak Free Eddy water bottle fits nicely, though I do have to spin the clip loop downward to avoid body or arm-swing contact.